Add all the other ingredients except the water and blend until the mixture forms a ball. You may or may not have to add the water depending on the consistency of the mixture—you don’t want it to be too sticky. 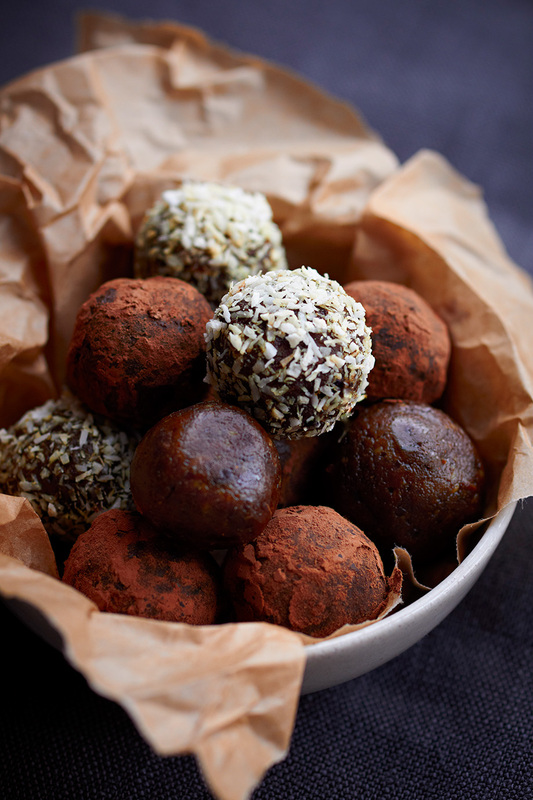 Using your hands, form the mixture into bite-size balls and refrigerate in an airtight container for at least 1 hour before eating them. 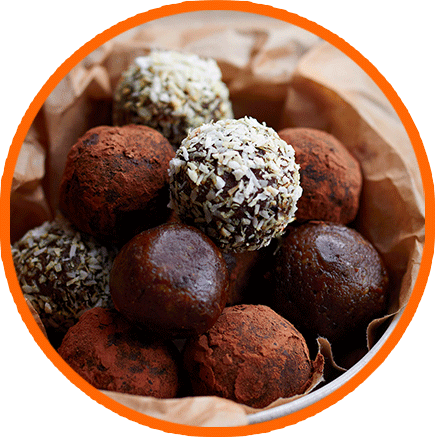 You could roll some of the balls in some more cocoa or dried coconut to achieve a different finish if you like. They will keep for up to 1 week in your fridge.